A good thermometer is a home accent that you may not realize you need, but it is a must-have for planning out your day. 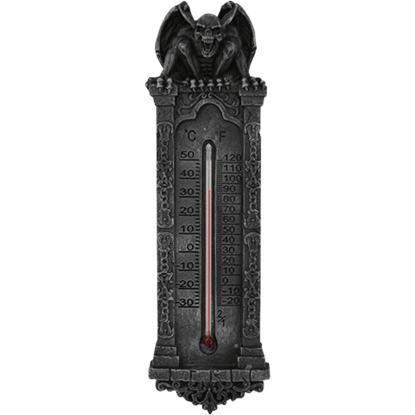 Make sure your thermostat fits into the classical Gothic motif of your home with the Fanged Gargoyle Thermometer. 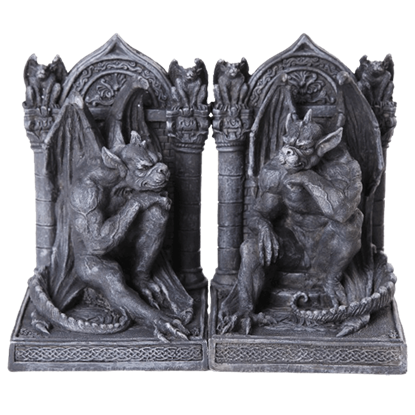 The Gargoyle Bookend Set would look great on any bookshelf in your home or office. 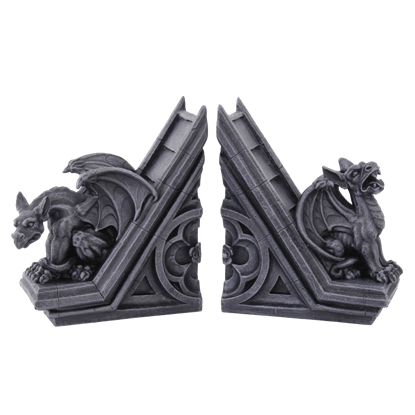 These bookends feature a dragon on each end piece. One has his head down, the other has his head up and mouth open. These are made of cold cast resin. 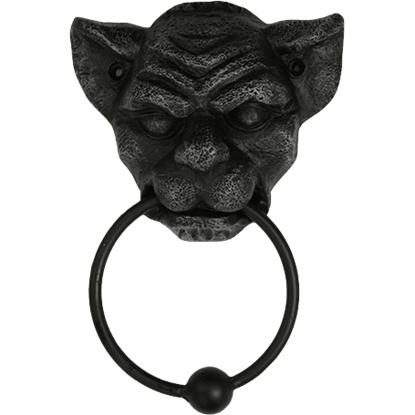 Used as guardians against evil spirits, gargoyles often take the form of some grotesque creature or animal. 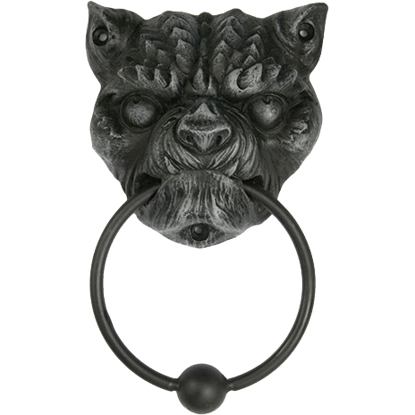 The Gargoyle Bottle Holder appears as a chimera with bat-like wings, a lionesque head, and the tail of a dragon. 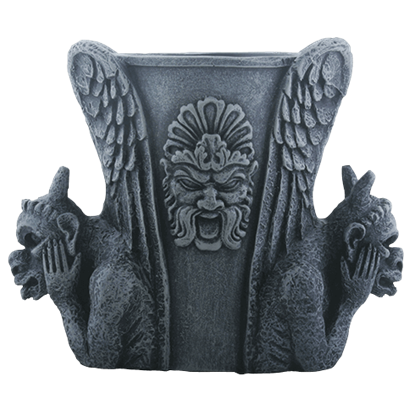 Keep your desk utilities safe with the Gargoyle Pencil Holder. 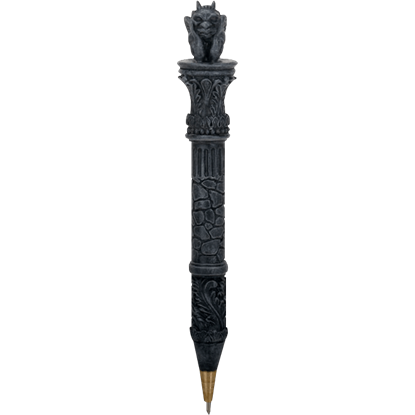 Perfect for holding both pencils and pens in timeless gothic style, the stone beasts on each side are sure to scare off anyone looking to pilfer your writing utensils. 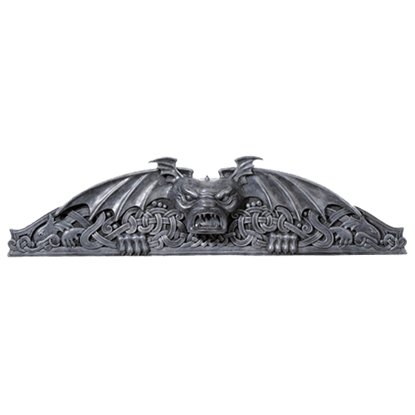 This gargoyle wall pediment would look stunning hanging over any door frame in your home. 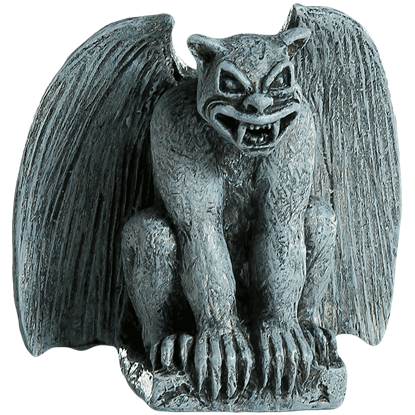 This gargoyle statue features a more gothic styled gargoyle exposing his sharp fangs. This wall pediment is made of cold cast resin. 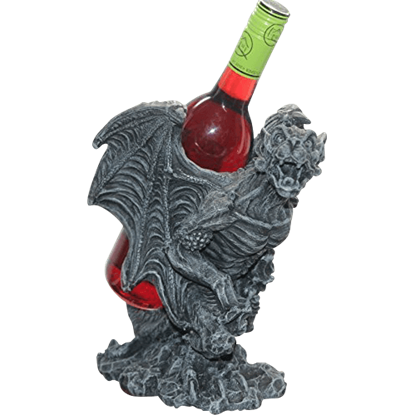 When you want to draw attention to your favorite vintage, nothing works better than the Gargoyle Wine Holder! 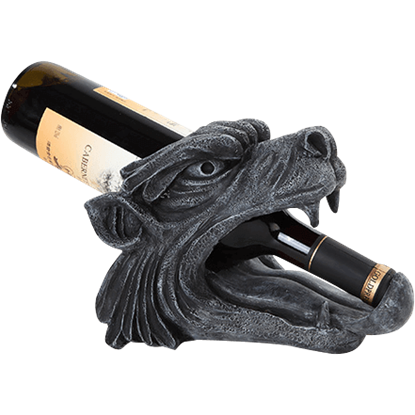 This fierce bottle holder depicts the head of a lionesque beast, supporting the bottle within its mouth. It is hard not to think deeply when surrounded by all these books. Even if you are a growling, vicious beast by nature. 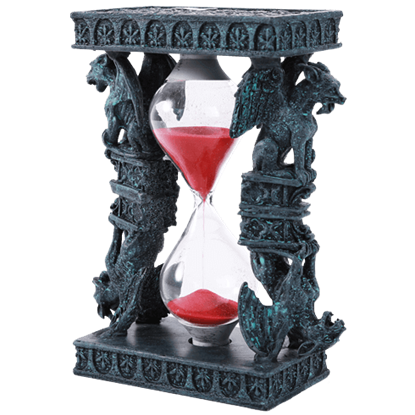 The Pensive Gargoyle Bookends place enlightened stone monsters at each end of your shelf to keep your books in place.